Aeromexico has dropped the price of their flights from Vancouver to Medellin, Colombia down to $463 CAD roundtrip including taxes. Aeromexico's flights down to Medellin are pretty fast, with a 4 hour layover in Mexico City. The problem is, their flights coming home from Medellin have a 13 hour layover in Mexico City. But if you return home from Bogota instead of Medellin, the flight has a 5 hour layover in Mexico City, and the price is similar. You need to find your own way from Medellin to Bogota, the flight is not included. 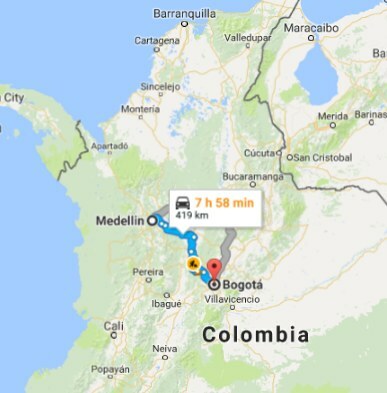 You can also find regular roundtrip flights from Vancouver to Bogota, Colombia for $459 CAD roundtrip including taxes with a 2 hour layover in Mexico City on the way there, and 5 hours on the way home. And you can also find flights where you fly into Bogota, Colombia and then home from Quito, Ecuador - for $571 CAD roundtrip. Try using any dates of the week in January, February, March, April, or May 2018. I've found that using Wednesday, Friday and Sunday dates has produced some of the cheapest fares ($462 to $468). Not every date combination will work, but there seems to be quite a few that do. These flights have a 4 hour layover in Mexico City each way. Try using any dates of the week in January, February, first half of March, second half of April, May 2018. Not every date combination will work, but many do. You may want to try starting with Thursday to Wednesday date combinations. I've found that these days tend to have flights with the more ideal layover length in Mexico City. See the note below about this. TIP: Look for the flights with 14-15 hours of travel time on the way there, and 15 hours coming home, like in the screenshot below. The flights with only 11 hours of travel time on the way there have just a 90 minute layover in Mexico City. MEX is an airport that is notorious for taking a long time to get through. Once your Momondo search completes, you may see a message that says 'Aeromexico has another 11 similar results'. If you click on that, you may be able to find flights that have the more ideal 14-15 hours of travel time. vancouver, yvr, flight deals, south america, bogota, colombia, bog, aeromexico, medellin and mde. 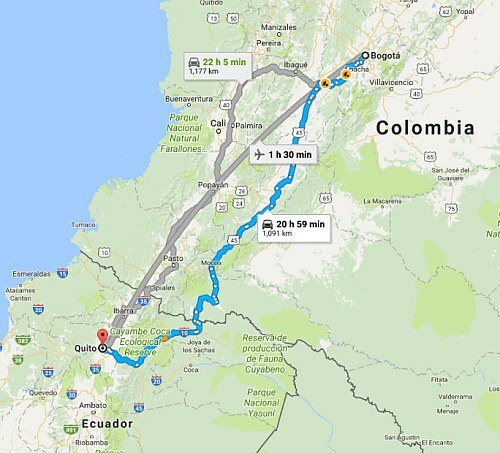 3 Responses to "Vancouver to Medellin, and then home from Bogota, Colombia - $468 CAD roundtrip "
Has anyone tried to book this flight yet? I'm trying to now but am starting to question the third party websites. I did a quick search of FareGeek (website that offers the advertised price) and found some pretty horrible reviews. If anyone has any experience using FareGeek please let me know! You can also find some info on FareGeek in there. You may also want to check out the recent blog post about Japan - with some info about the lower quality booking sites, and some comments from people who booked through FareGeek. Hey Chris, has this expired? I can't for the life of me seem to get those prices no matter what dates I try. Same with the Cancun one. Any help would be awesome.. not sure what I'm doing wrong.